As I look forward to the year ahead, and think about the resolutions I’m making and the things I want to achieve, the Pacific looms pretty large. I had a lovely few days at home, seeing relatives and friends over Christmas; we played games, ate chocolate, went on walks, and I tried to put rowing and fundraising out of my mind for a short time. Of course it didn’t stay out of my head entirely, but Christmas did give me some breathing space, and I’m now ready to hit the ground running. Even with the holidays it has been a busy couple of weeks, though. BOAT – I have signed for a boat! It is going to be built by Justin Adkin of SeaSabre – an experienced ocean rowing boat builder who has rowed the Atlantic Ocean himself, and is therefore in an excellent position to give advice and make decisions on the boat. It is hugely exciting to have Justin on the team, and I’m looking forward to seeing the boat grow and develop over the next 6-8 weeks, to become my companion for the Pacific. Photos and more details to follow in due course. I’ve also paid the first instalment towards the build of the boat, which means that this has just got very real! I owe another instalment by the end of January, and then need to pay the rest by the end of February. If at any point you’ve thought that you might like to support this endeavour, now is the time! The colour of the boat will be decided on by early February, so any big company or donor hoping to gain title sponsorship has a month to stake their claim and choose the colour and name of the boat (as well as splash their branding all over it). Now is the time to sponsor. In other sponsorship news, these last few weeks have brought a number of generous anonymous donors to the challenge, as well as WP Engine, who are hosting my flashy new site. I also have the talented students of Clifton Hill House in Bristol to thank, who organised two fundraising concerts in the run-up to Christmas. Both concerts were of a really high standard, and the collection boxes felt nice and heavy afterwards. Those weeks in December were overwhelmingly busy, so I’m only now able to sit back and appreciate how much time and effort everyone put in. Thank you again to all sponsors and supporters – this is a tough challenge (even just the fundraising bit), and having you behind me makes all the difference. There is one winging its way to him that will fit a little better! Finally – T-shirts! 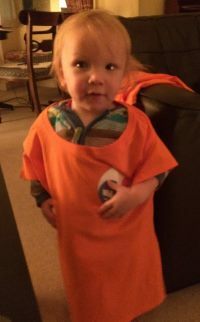 We have fantastic orange or blue T-shirts available to buy, and there are even kids sizes available. You can look fashionably unique AND tell the world about this crazy woman who will spend three months splashing across the big blue ocean. What’s not to love?! Previous PostT-shirts available – support the row!Next PostWeek -22: Happy New Year!